As tributes continue for those who lost their lives in the Oakland Ghost Ship warehouse fire, a concert was held Saturday to honor the youngest victim. OAKLAND, Calif. (KGO) -- As tributes continue for those who lost their lives in the Oakland Ghost Ship warehouse fire , a concert was held Saturday for the youngest victim. The Ruth Asawa School of the Arts in San Francisco held a memorial concert to honor Draven McGill, 17. 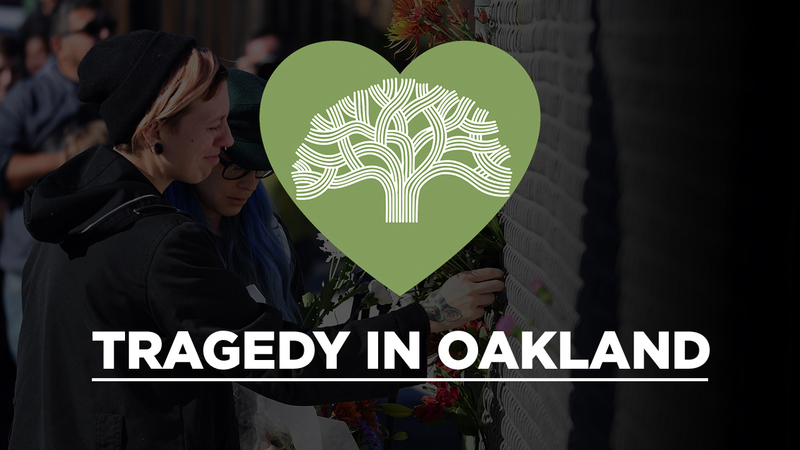 The full list of victims of the Ghost Ship warehouse fire in Oakland, Calif. are listed here, and will be updated as more victim names are released. Former classmates and ensembles performed during the concert to honor McGill who was a student and vocalist at the school. "A choir is a team sport. And this was his team. This was his family," Ruth Asawa School of the Arts vocal music director Kristen Grzeca said. Grzeca was McGill's teacher and says the teen loved electronic dance music and hip hop, but was trained in classical. The memorial concert included songs that McGill loved and part of "Brahm's Requiem." "Having to say goodbye to him has been very, very difficult. And this is our way to honor him and to remember him doing what we've done together for the last three years, which is make music together," Grzeca said. Classmates hung notes on the wall outside the theater to share memories and say thanks. The school collected donations to help McGill's family, including his father who is an Alameda County Sheriff's Office deputy. The school is planning a full performance of "Brahm's Requiem" on January 13 to honor McGill and another victim named Johnny Igaz. Igaz is an alumni of the Ruth Asawa School of the Arts and was playing music at the Ghost Ship warehouse the night of the fire. Click here to make a donation to help the families of the victims who died in this tragic fire.